From the South of the city the sails of the mill can be seen rotating (when the wind blows) up on the top of the hill. The last few months I have been really getting into my bread making and so now I have starting to look around for places to get some good flour. I had heard about Greens Windmill and seen it many times as I drove into the city, then I heard that they actually sell the flour that they produce at the centre so this last weekend we headed over to check the place out. In the Science Centre gift shop and museum they had a small section with a shelf for bags of flour, as you can see they had already sold quite a bit, as that shelf was starting to look a bit sparse. I don’t know how much they produce, I suppose that depends on the wind. 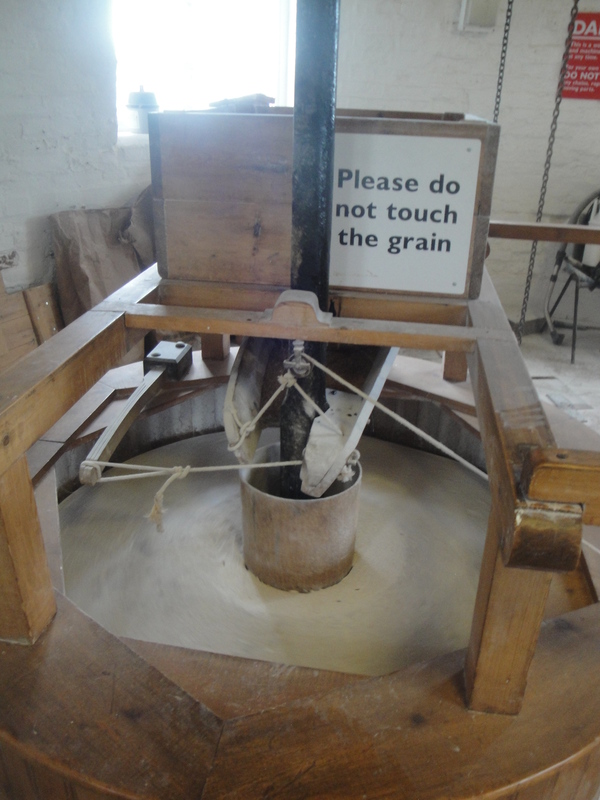 I had a chat to the miller and he told me that it takes about an hour for the whole milling process to get the flour on an average day. 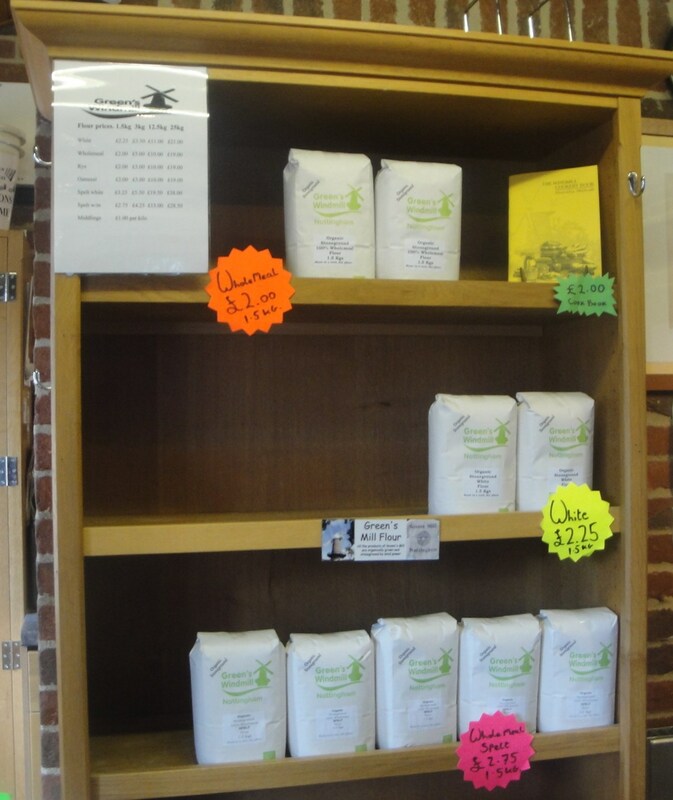 They sell a small range including White Flour, Wholemeal Flour, White Spelt Flour, Wholemeal Spelt Flour, Rye Flour, Oatmeal and Midlings. 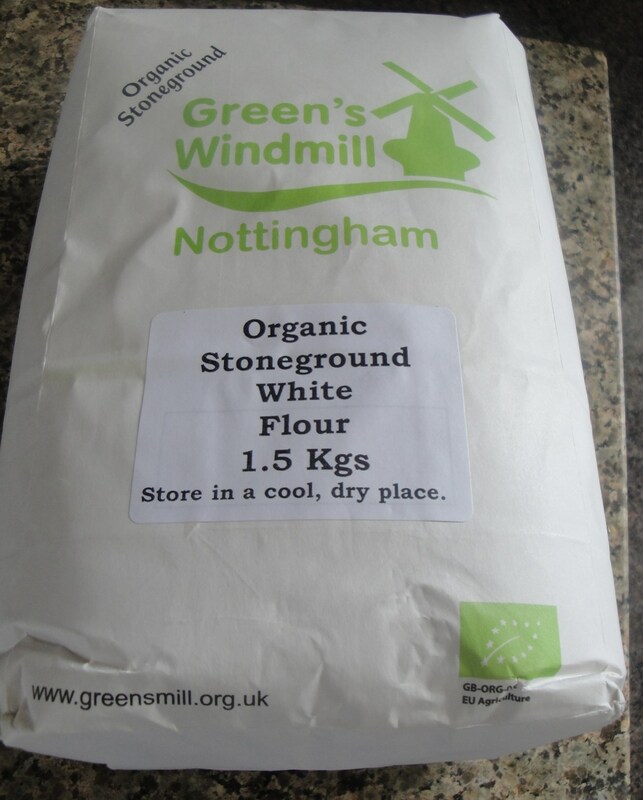 We really wanted some Spelt flour but they had sold out that day so instead I got a 1.5kg bag of organic stoneground white flour to try for £2.25 which I though was not a bad price considering its provenance. 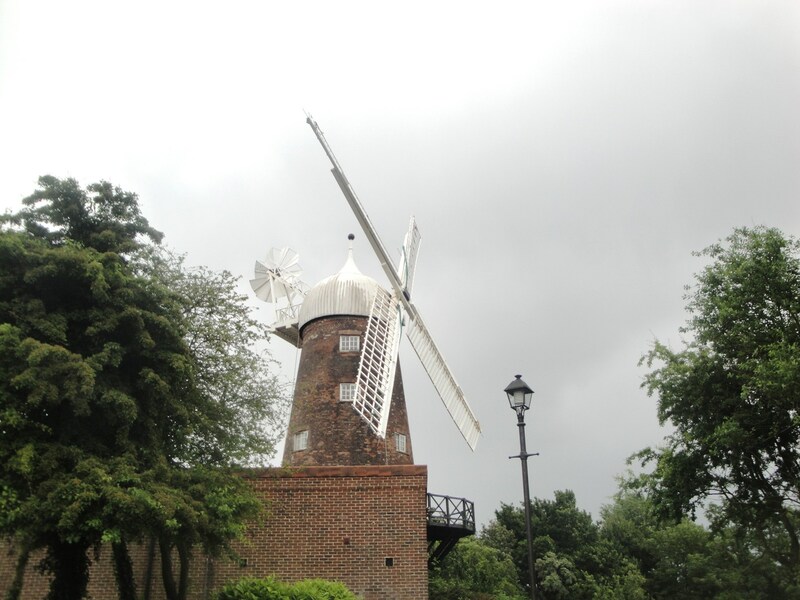 Even better was that you can go into the Windmill to watch the mill and the miller at work. On the lowest level you see the end product but you really need to climb to the top level to see the whole process. There are four levels and the steps are quite steep so if you don’t like heights you might not be so keen on going all the way to the top. 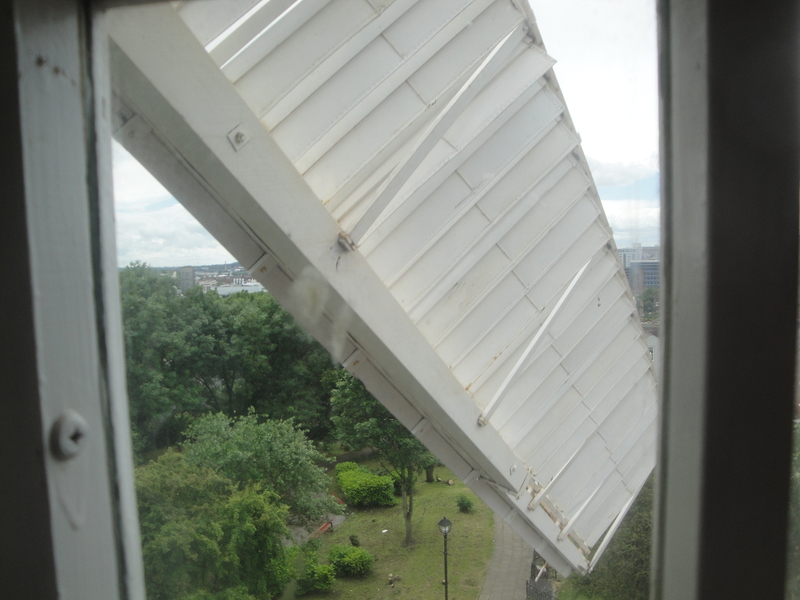 It is all quite fascinating, as you climb the steps you can look out of the window and see the sails rush by. When I visited it was quite windy and they were passing by every few seconds. 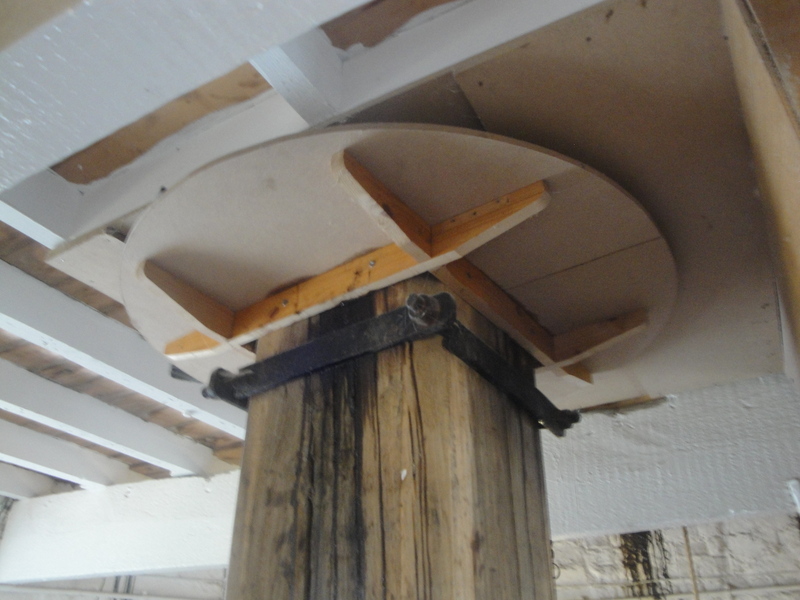 The Grain falls down through gravity into the Mill Stone and you can watch the result on the third level where the gears above turn rotating the central pole and twisting that mill stone to grind the grain. 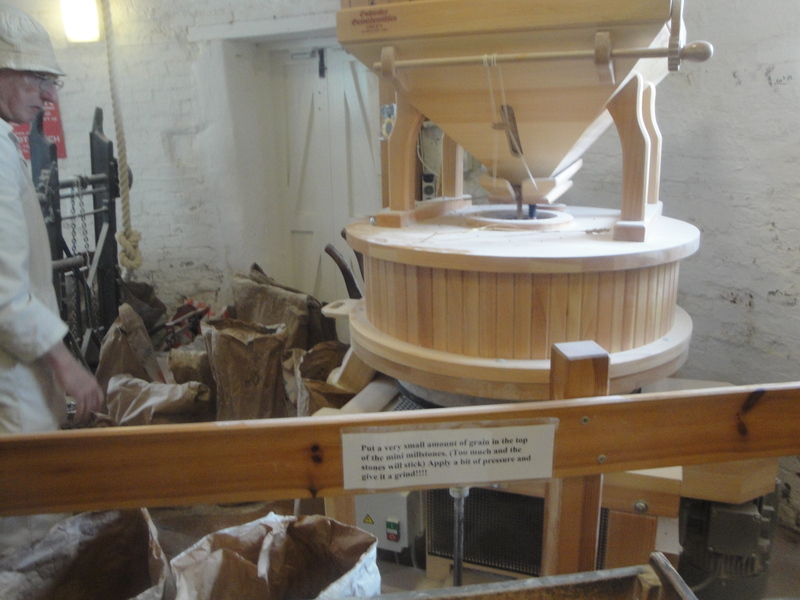 As the Mill Stone turns the ground grain falls through into a sack below which gets collected every so often by the Miller. 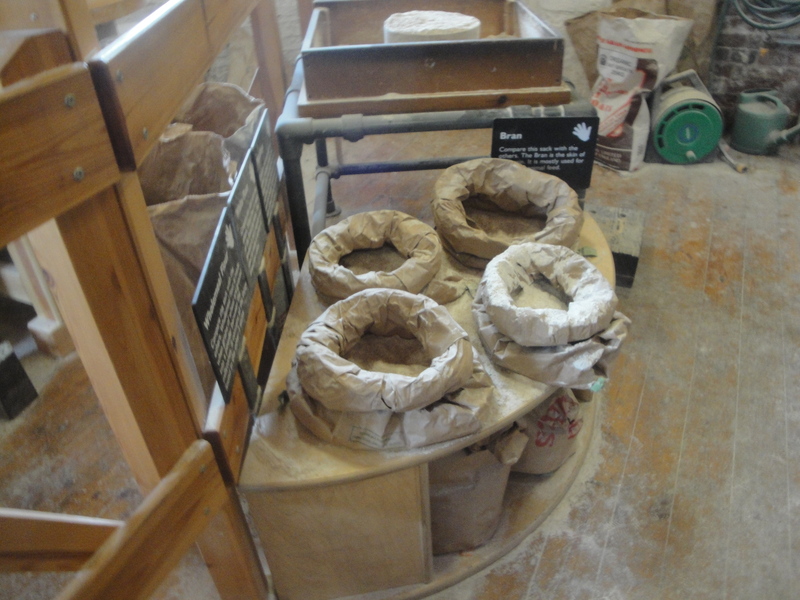 It really is all quite fascinating and brilliant really to be able to see your flour getting made right in front of your eyes. On the ground level there is a hands on display alongside where the Miller is working. 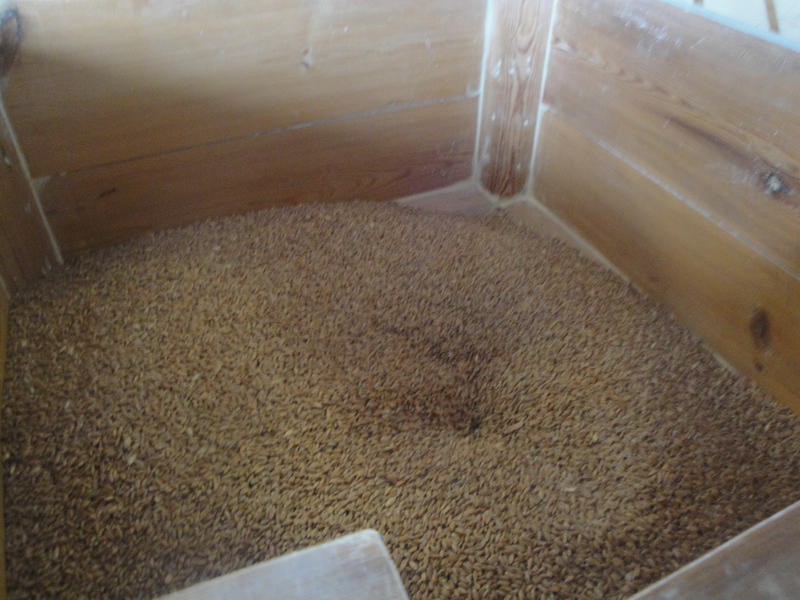 Here you can feel the different grains and even touch an example Mill Stone to see how it grinds the grain. 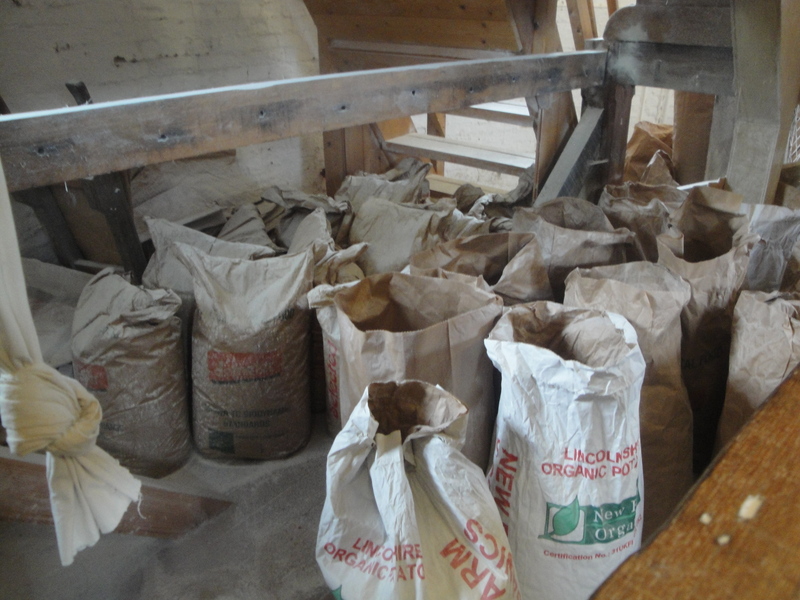 It is free to go into the Mill and it is open Wed – Sun: 10:00 – 16:00. They do have a box for donations and you could also buy some of their flour or get something from their gift shop or café if you could to support them. 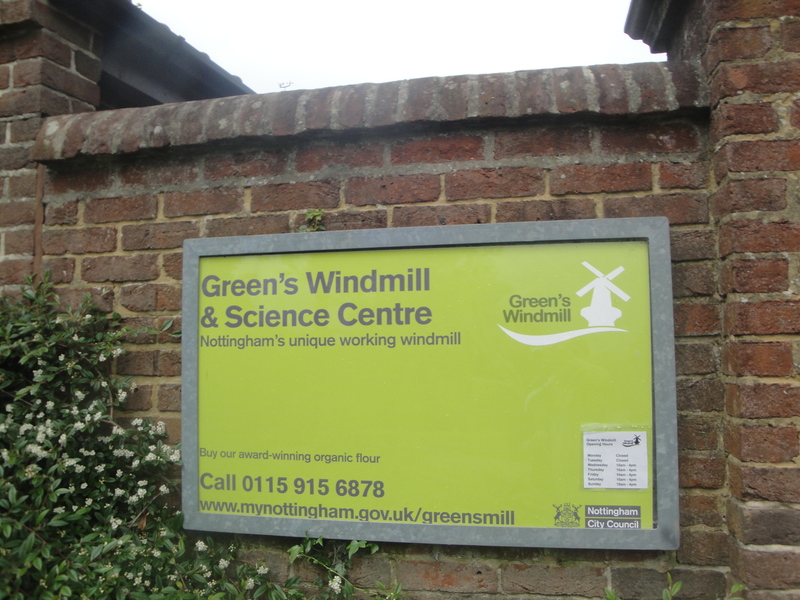 The Mill is at the Green’s Windmill & Science Centre which is located at Windmill Lane in Sneinton NG2 4QB. You can park at the foot of the slope and then walk up to the Mill. It is about a 15 minutes walk from the Sneinton Market at the foot of Hockley as well. There are all sorts of food events at the Centre as well. I had a look through their Facebook page and saw that they have Jammy Tart Making, Sweet Pizza Making, and Chocolate Oatmeal Making events listed, so something for the family and for the sweet toothed of us as well then. Thanks for providing video which is very useful for me top understand and know more information.